cI wanted to read some novels set in the US while I was attending the Bouchercon crime convention in North Carolina. The Killing of Bobbi Lomax by Cal Moriarty and Rod Reynolds’ The Dark Inside had both been sitting on my shelf for a while and were both excellent choices to take away with me. There are themes common to both books but each writer has a very distinctive voice. Reading a novel set in country that you’re visiting can add depth to your travelling experience and I was amazed at the extent to which the writers had captured the flavour of the country. 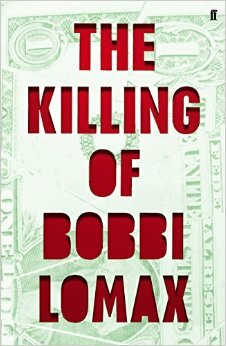 In The Killing of Bobbi Lomax a series of bombs have exploded in Abraham City. It’s a clever ploy on Moriarty’s part to look at the investigation following these explosions rather than detail the actual violence. Bobbi Lomax is a prom queen who married a man much older than her. The connection between her and the other victims is initially unclear and forms the basis of the investigation. It’s a very well written book and the 1980s setting and ambiguity over location (Abraham City is within America’s bible belt and represents a kind of US every-town) give the book an other-worldy theme that reflects the eventual revelation regarding the motives behind the killings. In Rod Reynolds book, The Dark Inside, Texerkana’s location on the border between Texas and Arkansas plays an important role in the narrative. New York reporter Charlie Yates is sent down to investigate a series of murders of courting couples. The killings are based on a real life murder spree and the horror experienced by the victims and their families is highlighted. There’s a corrupt heart to the town but Yates is unable to locate its source which adds to the narrative tension. Reynolds is excellent at characterisation and we’ll hopefully get to see more of Charlie Yates is future books. It was fascinating to see British authors bring to life these US locations and I sent both authors some questions as I was interested to how these books came into being. You’re both UK based authors who bring alive a small town US setting in your books. What made you choose your setting and how much research did you do before you wrote your novels? CM: I love the desert, I lived in L.A. for a few years and have driven across the desert many times. I also spent a month there researching my novel. I love the fact that the desert isolates and amplifies characters and events and I really wanted to include that in the novel. RR: The Dark Inside is based on a real life serial killer case, so in some ways I had to set the book in Texarkana, where the murders took place. I decided early on in the writing that my story would be fictional, and not adhere too closely to the facts of the case, so as a balance to that, I was determined to keep Texarkana as the setting, and bring it to life as vividly as possible. I thought that was the best way to ground the novel in reality, and maintain a link to the real life events. I did a lot of research before I started writing, firstly into the case, and then into Texarkana itself; Google Maps was a godsend early on! The more I learnt about the town, the more certain I was in my decision to set the book there. Texarkana is, in actuality, two towns, one in Texas, one in Arkansas, split down the middle by the state line. It was a major railroad hub for troops returning from WWII, so the town was overrun with GIs in 1946. It’s not quite a typical southern town, and still had something of a western character in the 1940s – bar fights were as common as picket fences. All these elements made for an atmospheric backdrop to the novel. The final piece of the research puzzle was to visit the town, which I did as I approached the end of writing the first draft. It was a strange feeling to see Texarkana first-hand, after spending so long studying the town and its history. Much of the town as it was in the 1940s is still standing, many of the buildings now abandoned, so it was fascinating to see – almost like a living snapshot of that time and place. You write about familiar themes in a distinctive way – Cal, in relation to religious faith and Rod, on serial killings. How conscious were you that you needed to bring something fresh to these subjects? CM: I really wanted to create something quirky, but also intelligent and as multi-layered as possible. So that at no time were people being told what to think, they were being given enough to draw their own conclusions. RR: I was very conscious of the fact, as serial killers have, of course, been done many times before. However, I had an idea for a twist on the standard serial killer ending before I started writing, so I was always working towards that plot point as the book developed. I was partly inspired by David Peace’s Red Riding books, as I loved the way he put a fresh and intriguing spin on serial murders, so I was always keen to try to do the same in my novel. What made you decide on your points of view? – Cal you have multiple narrators and timescales, whereas Rod you use the voice of your protagonist Charlie Yates. CM: Because Clark Houseman is such an engaging, alluring character it was important so that the reader could see the other half of the story, the investigation, and see more of this strange unusual town, that the cops were also outsiders, the readers eyes into the story, but not particularly welcome eyes as we learn in the novel. Marty also has his own ghosts which are revealed in this book, and form the focus of this next novel I’m working on. I had to use different timescales, so I could build up the character of Clark Houseman — it’s his story that starts earlier than the novel’s inciting incident. RR: My favourite books tend to have very tight POV control, limiting it to one or maybe a couple of characters, and restricting information so that the reader only knows as much as the protagonists. I find that a very effective way to build tension, and to make the twists and reveals more explosive; hence I decided to write Charlie as the only character with a POV. In addition, I thought that approach would work particularly well with this story as it has elements of the classic ‘a stranger arrives in a strange town’ plot, so I wanted the reader to discover Texarakna and the story of the murders as Charlie does. Moreover, I wanted the reader to understand Charlie’s perspective, the way he gets drawn into the murders against his better judgement, his path to redemption, and, finally his intense obsession with getting to the truth – so it was important to me that the reader stick with him throughout. What’s next? I’d happily revisit both locations/characters but have their stories been told? CM: The next novel in the Wonderland series, of which Bobbi Lomax is book 1. There’s a lifetime of stories to be told from Abraham City’s townsfolk. Next up is Marty’s daughter, Liss, and a man who may or may not be a serial killer. The novel’s told from both their point of view. It’s called Death in Wonderland. It’s a prequel to Bobbi Lomax. A really interesting, and illuminating interview. Thanks for this, and good luck to both Rod and Cal with their follow ups. 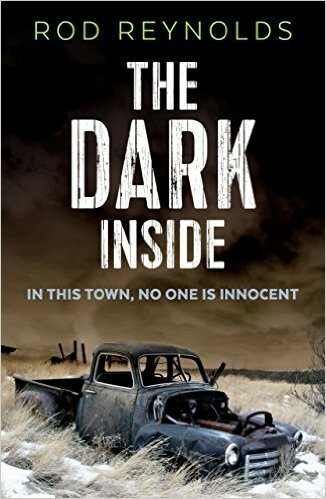 Great article Sarah – I loved The Dark Inside, and I have The Killing Of Bobbi Lomax right beside me, TBR. 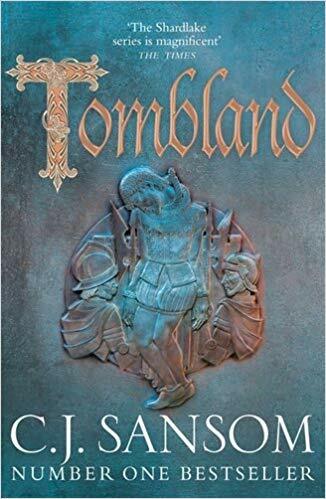 As Rod knows, I adored The Dark Inside, and no doubt will enjoy TKOBL just as much. Best of luck with book two, also, guys. they’re both brat books aren’t they? What a great interview Sarah – I have The Killing of Bobbi Lomax somewhere on the TBR and had lost track of why I’d got a copy – it now needs to move further up the list!